Early records present a special challenge for people researching Native American or mixed-race ancestors. Prior to 1870, excepting head-counts on reservations, censuses enumerated only whites, and usually only adult males at that. Until 1900 the US Census failed to accurately reflect the names and numbers of Oregon's Native American population. Censuses taken to record "on" and "off" reservation Indians also omitted many tribal members; until quite late in the 19th Century, many people easily traveled between reservations and more familiar homelands. Catholic Church Records Harriet Munick began publishing the Catholic Church Records from the Archdiocese of Portland in Oregon in 1972. She completed seven volumes, indexing some 14 parishes. This website offers a cumulative index to all seven books under the categories of baptisms, marriages and deaths. The database includes over 22,000 names and is searchable. Catholic Church Records of the Pacific Northwest Munick's Vancouver volumes, a record of baptisms, marriages, and burials during travel to Ft. Vancouver (1838), at Vancouver (1838-1844), at St. James Church (1842-1856) and at Stellamaris Mission (1848-1860) are indexed for biographies by Connie Lenzen . The Church records were kept by priests Francois Norbert Blanchet and Modeste Demers who traveled from Canada to Oregon with the Hudson's Bay Company and began their missionary work with a service at Ft. Vancouver. Methodist Church Records, index of names by Connie Lenzen; full text in print has biographies. Catholic Church Records, index of names by Connie Lenzen, also editor of full text in print. Snapshot View of Indian Tribes in Oregon Today About 90 per cent of Oregon's Native Americans live off-reservation. Oregon reservations serve as a focus for the heritage and unity of Oregon Native Americans, resident or not. Against the worst odds and the harshest conditions, these reservations survived to preserve Native American values and culture. Up to nine-tenths of Oregon Indians perished in epidemics before the beginning of the Oregon Trail in the 1840s. The decades that followed brought forced relocation to the reservation, wars, and poverty; changing US policy uprooted people from one reservation to another and framented or dissolved the reservations themselves. 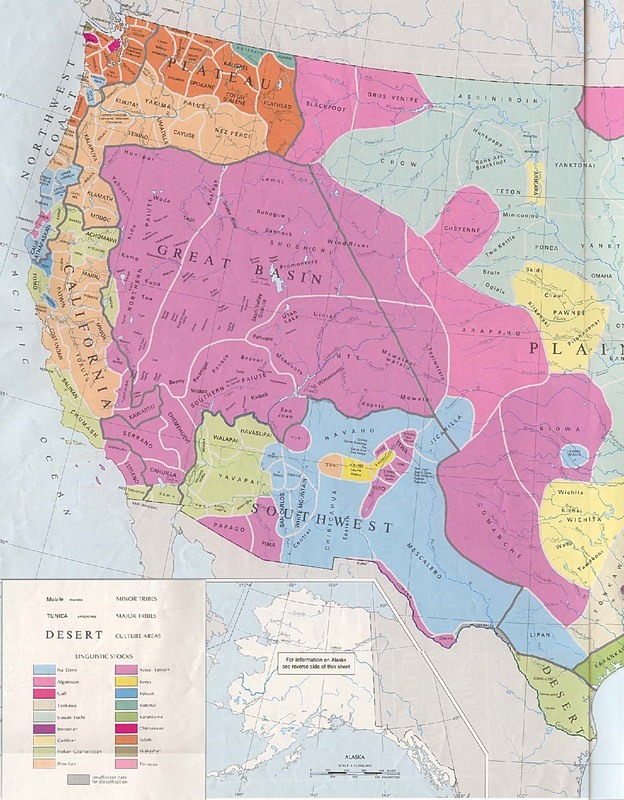 Today, each Oregon reservation is a confederation of several traditional tribes and bands. Warm Springs Indian Reservation, Confederated Tribes Wascos, upper and lower Deschutes bands of Walla Wallas, (Warm Springs) and Northern Pauite people. Siletz,Confederated Tribesconfederation of 27 bands originally ranging from N. California to S. Washington. Chinook one of the traditional tribes still struggling to be a federally recognized tribal organization. By the time of the first emigration on the Oregon Trail--1841--very few of Clackamas County's first people remained. A remnant of the Kalapuya-Tualatins survived on a tiny reservation near Wapato Lake, some Molallas retreated south to live among Klamath allies, and the rest of the original Willamette Valley people survived only in tiny pockets near white communities. The First People of Clackamas County --about the history and traditional cultures of the Clackamas, Kalapuya, and Molalla. The Clackamas a division of the Upper Chinook people. The Chinook Jargon At Grand Ronde, home to several tribes, Chinook Jargon (a trade language) was the common tongue. Over time the tribes mingled, intermarried and eventually ceased to exist as separate tribal entities. In 1855, the Tualatin reservation closed and the 80 remaining Tualatins removed to the Grand Ronde Reservation. The young people of other Willamette Valley tribes scattered to Grand Ronde or to reservations at Siletz and Warm Springs. Only a very few of the oldest Clackamas people lived out their days on homeland near the whites. Calapooia and confederated bands of Willamette valley. On Jan. 22, 1855, the US government created Grand Ronde Reservation and won the cessession of land that included Linn, Milwaukie, and Oregon cities. This is the full text of the agreement (US Statutes at Large, Vol.X, pg.1143) signed at Dayton, Oregon Territory. The American Indian in the Great War: Real and Imagined by Diane Camurat. Before discussing Native Americans in World War I, this web site presents a fine summary of Indian relations with US government policy, the military, and wars from the 18th Century through WWI. How Do I Trace My Native American Ancestors? a web page by the Affiliated Tribes of Northwest Indians. American Indians of the Pacific Northwest Digital Collection "The digital databases include over 2,300 original photographs as well as over 3,800 pages from the Annual Reports of the Commissioner of Indian Affairs to the Secretary of the Interior from 1851 to 1908 and six Indian treaties negotiated in 1855. Secondary sources include 89 articles from the Pacific Northwest Quarterly and 23 University of Washington publications in Anthropology." Often in conflict with British Canadians, the descendants of French settlers in middle and eastern Canada were a unique force along the frontier. French Canadian/Indian people (also called métis) from Canada became the vanguard of non-native settlement in the Northwest. 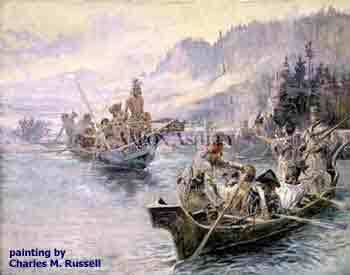 Usually from the Red River (Manitoba region), they followed the fur trade and settled in the Washington-British Columbia region. French was their common language and most had Iroquois, Ojibway (or other middle and eastern Native Canadian) wives or mothers. They settled in their own communities from the 1820s to early 1840s, intermarried with local people, and mingled with the population of the Willamette Valley. 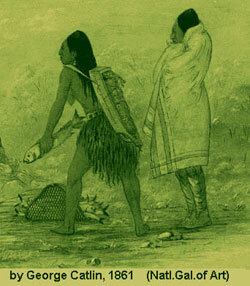 Some descendants would blend with local Pacific Northwest Indians and others integrated into the new American settlements. Métis Genealogy Links covers both métis and aborigianal people of Canada. 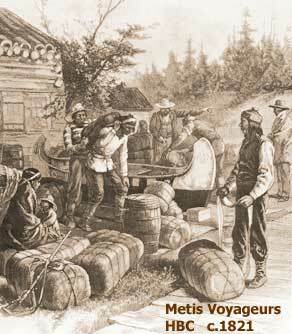 Métis Nation of the North West with métis history from 1500 to present-day and numerous links including "A History of New France", Canada's pre-history, a history of British Columbia, and more. American-French Genealogy Acadian, French-Canadian, French-American, and much more. For French names, some sources are especially helpful (but not available in full on the web): Catholic Church Records of the Pacific Northwest, edited by Harriett Munick, (first published in 1972 and widely available) contains names as recorded by French-speaking, well-educated priests. "Index to Catholic Church Records of the Pacific Northwest" (available at the Clackamas County Historical Society) has alphabetical lists of deaths, brides, grooms, and maiden names contained in these Church records. John C. Jackson's Children of the Fur Trade, a book about mixed Native American/European American families in the Northwest, contains names drawn from a huge number of records and found in no other modern book.